Departure day came cold, dreary and overcast. Waiting a few hours for things to clear up proved to be fruitless, so the power cords were disconnected, the docks lines released, everything safely stowed and at 10:00 a.m. the next adventure began. Every hour and every mile northbound on the St. Johns River we hoped that the clouds would burn off. It's always nice to have a good start on the first day underway. At least Beach House was underway and we were still excited to begin a new cruise. There were a few details that needed to be tended to, but not right away. Our destination was only about 50 miles north so a delay of a few hours was not a concern. The river was a little choppy from the 10+ knots of north wind right on the nose. Still nothing of concern. 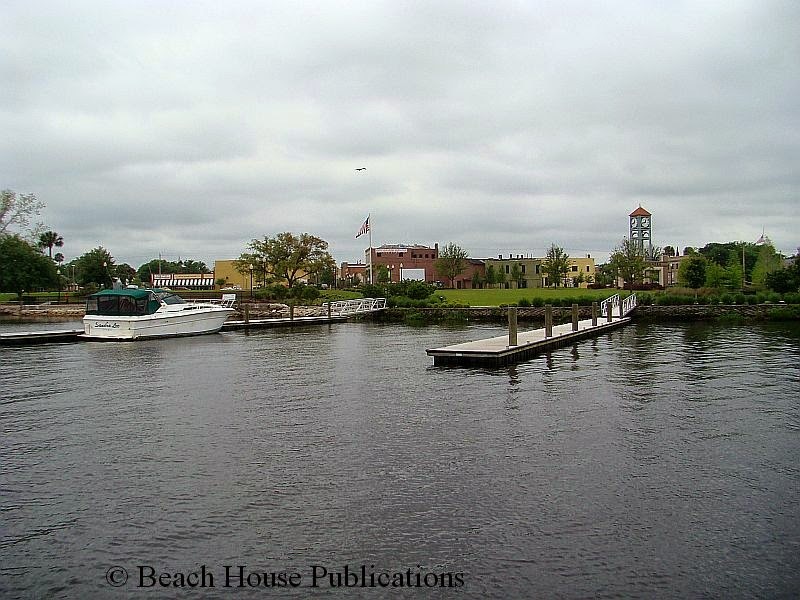 We cruised past the Palatka town docks and said goodbye to the town for the last time. The rest of the day stayed pretty much the same so the inside helm station was the most comfortable spot for navigating. At the lower helm, the laptop is our primary navigation tool. There are several charting programs to choose from and the most current NOAA charts had been downloaded the day before. The presentation on the laptop is much better than the chartplotter on the flybridge, but the computer screen is not good in direct sunlight and the computer doesn't like moisture. A weeks worth of great weather was all the excuse we needed to get out of the slip and do some cruising on the St. Johns River, south of where we have spent the winter. What a spectacular trip it turned out to be. The weather was perfect and the river is beautiful. This was also a good opportunity to do a shakedown cruise before heading out again for some serious time on the water. We wanted to check out some of our anchorage information for the ICW book and just enjoy some time on the boat. It also allowed us to do some experimentation with our new video camera. We left Satsuma around noon, dropped the hook for the night at Lungren Island near Astor, and continued on the next day to Sanford. 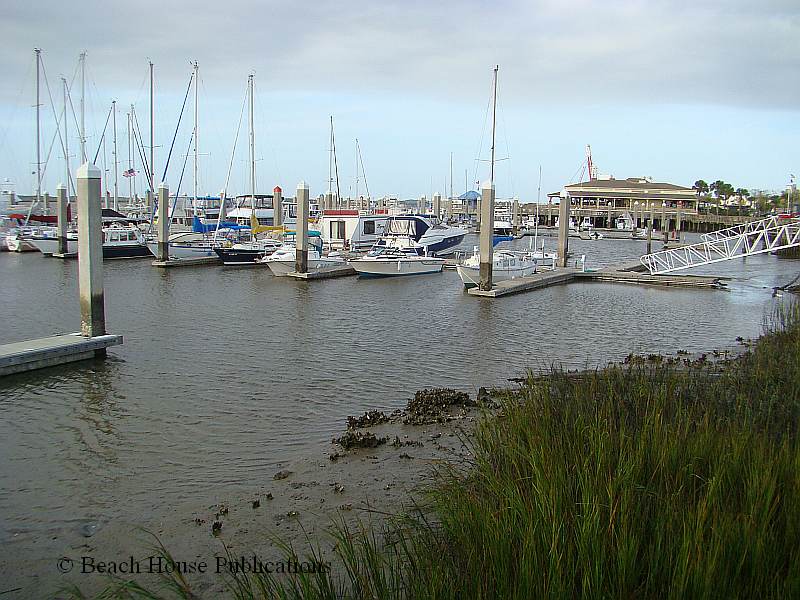 A couple of days at Monroe Harbor Marina gave us enough time to explore the town and enjoy the hospitality of the marina. 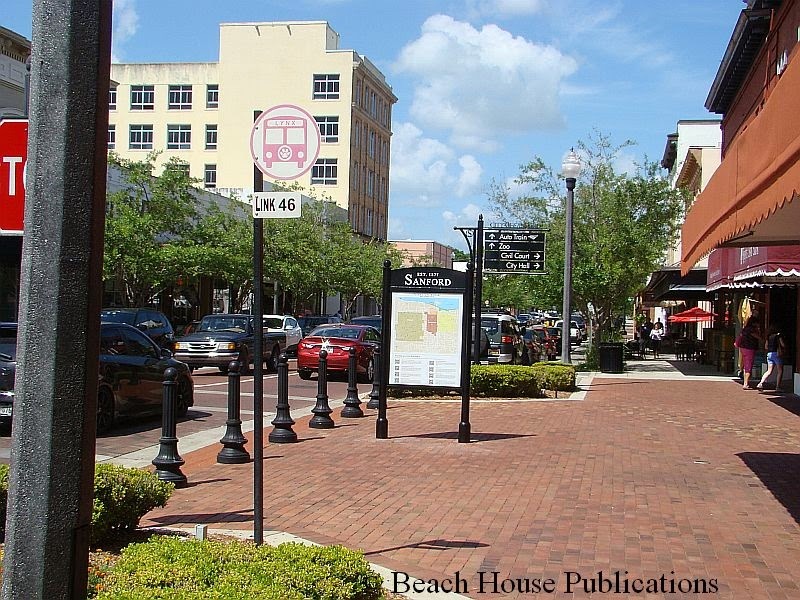 Sanford is a very nice historic waterfront town with lots of shops, restaurants and art galleries. 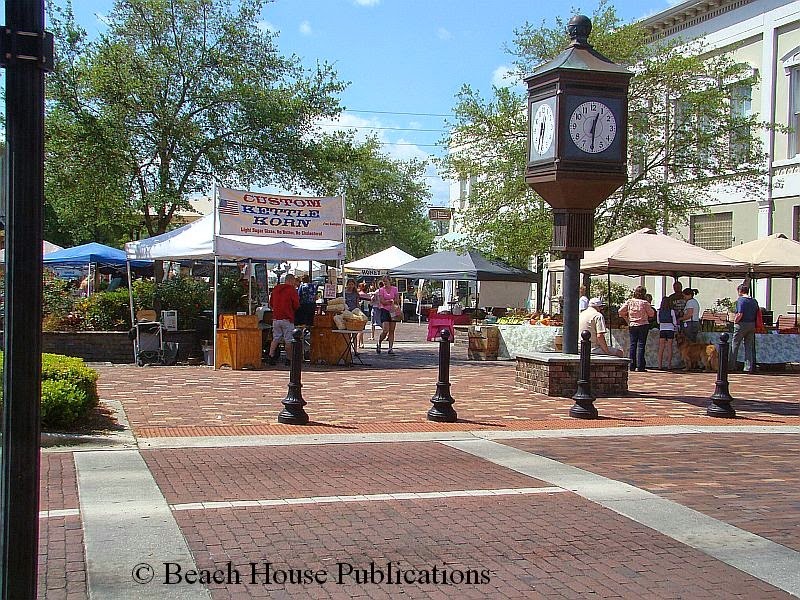 On Saturday, there's a small local farmers market with fresh veggies, crafts and food vendors. Here's a rough video of the cruise on the river. Since our arrival at Acosta Creek Harbor on the St. Johns River in Satsuma, FL, we have had two priorities. 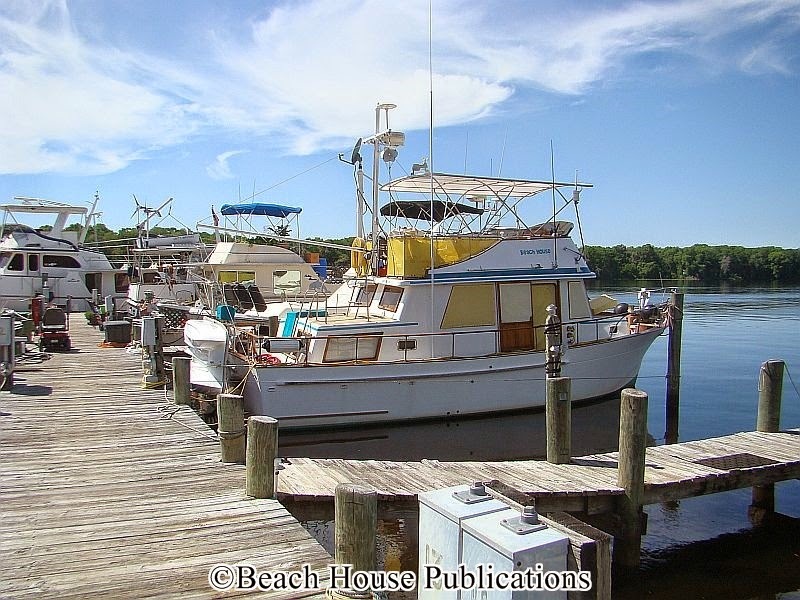 Number one was to finish the Chesapeake Bay anchorage book and have it ready for distribution. Number one completed. Number two was actually several small projects to be completed before we headed out in the spring and begin the next phase of our cruise. With number one behind us, we started as soon as the winter weather would allow. 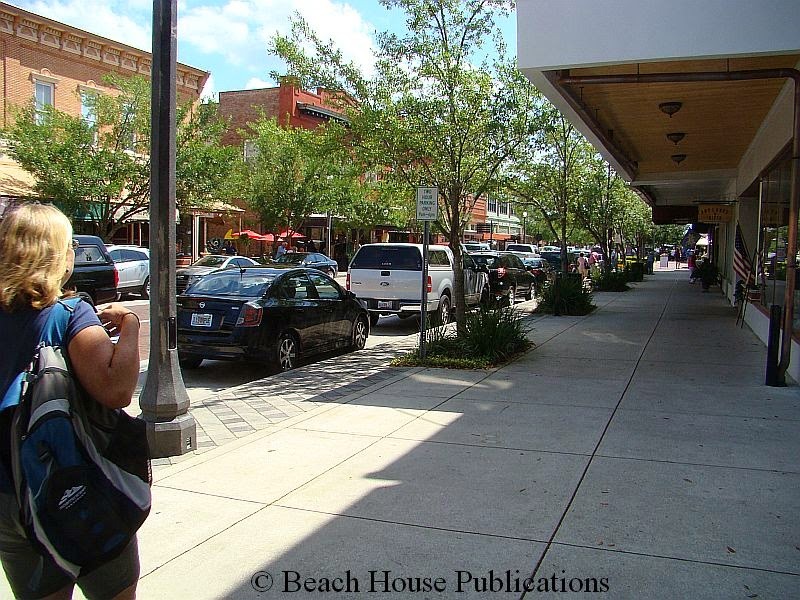 It's been a cold wet winter here in northern Florida and many of the exterior projects just had to wait. But the break finally came; the clouds parted, the sun came out, the temperatures began to climb and the crew shouted "Hallelujah!" Before the day was done, upon our arrival at Fernandina Harbor Marina, the winds began to pick up and continued to increase for almost a week. This was the weather system that we were trying to stay ahead of and the reason we planned a marina stop instead of finding an anchorage or picking up a mooring. Beach House was snug and sound at one of the inner slips of the marina, even with the 4-foot depths in the slip at low tide. The shallow depths are why the marina gives discounts for these slips. Even if we settled on the bottom at lower than low tides, the bottom is soft mud, so no harm done. The full keel on Beach House also makes this a non-issue. As the winds increased, the tides did indeed drop lower than normal. The time was well utilized to wash down the boat, clean the ICW "beard" off the hull and fill the water tanks. A few other small projects were done - changing the fuel filters, doing laundry and stocking up groceries. That's what marina stops are for.